Phhotographs of a selection of the Lions activities including Christmas food parcels, sponsoring new water wells in Nigeria and support for charities such as Scannapeal, Marie Curie and The Thomas Ball Children's Cancer Fund. Lion Clubs International's mission is to empower volunteers to serve their communities, meet humanitarian needs, encourage peace and promote international understanding through Lions Clubs. 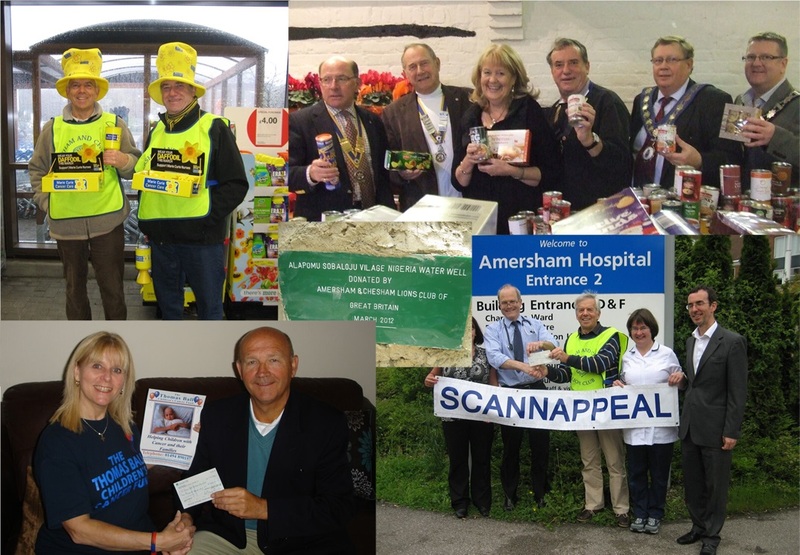 The Amersham & Chesham Lions Club concentrates on improving the quality of life in and around Amersham and Chesham (Buckinghamshire UK) whilst also helping to provide immediate and sustained relief in times of disaster aross the world. To do this, members raise money to make donations for worthy causes, and also to set up, run or support valuable projects. All money collected goes directly to charity. The club also contributes to international emergency and ongoing relief programmes. These range from drinking water provision projects and eye camps providing cataract surgery on a massive scale, to natural disaster responses. Since the Amersham & Chesham Lions Club was formed in 1969, it has raised more than £400,000.